A recent motorcycle accident in Danvers took the life of a Gloucester man, according to Massachusetts State Police. The accident happened just before 7:00 p.m. on Route 1 when the rider lost control of his bike, and was thrown into a guardrail right by the Route 114 exit. The accident ejected him from his bike and set him through the air about 70 feet. He was transported to the Beverly Hospital and was later pronounced dead, according to the Boston Globe. Officers were at the scene of the accident within two minutes. Lifesaving efforts were attempted, but failed. They were forced to close some of the northbound lanes on Route 1 to investigate the accident. Traffic was backed up in the area for about an hour. Officers are still investigating the cause of the accident. Our Boston motorcycle accident attorneys ask all motorcyclists to be extremely cautious on our roadways as riding season comes to a close. Passenger vehicles are the biggest threat to motorcycle riders. The Insurance Information Institute (III) reports that there are more than 7 million motorcycles on the road in the U.S. Every year there are at least a million new motorcycles and dirt bikes purchased. -There were nearly 5,500 people killed because of motorcycle accidents in the U.S. in 2008. This illustrates the highest number of motorcyclist fatalities on record. -Over the last 10 years, the number of motorcycle accidents and deaths has increased every single year. -More and more motorcyclists 40-years-old and older are dying in motorcycle accidents every day, which directly reflects the number of aging baby boomers. -The National Highway Traffic Safety Administration (NHTSA) reports that a motorcyclist is nearly 40 times more likely to be killed in a motorcycle accident than someone in a passenger vehicle. -A motorcyclist is nearly 10 times more likely to be injured while driving a motorcycle than while driving a car. -In 2008, motorcycle accidents represented nearly 15 percent of all traffic accident fatalities. 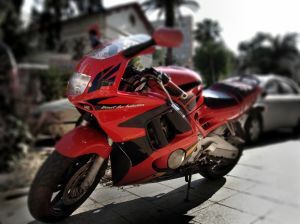 -Nearly 115,000 motorcycle accidents in 2008 resulted in serious injury of significant property damage. -According to the NHTSA, nearly 2,000 motorcyclists were saved because they were wearing a helmet at the time of an accident in 2008. A great many of these accidents can be prevented if we can educate and raise awareness in passenger-vehicle drivers about the dangers that motorcyclists are faced with. More cautious, alert and focused driving habits can help to save riders’ lives. It is important to keep a watchful eye out for motorcyclists while driving on our busy Massachusetts roadways. Many riders will be out as the summer riding season comes to a close. Massachusetts motorcycle accident attorneys at the Law Offices of Jeffrey S. Glassman, LLC, have nearly 20 years of experience handling serious and fatal traffic accident cases and representing those who have been injured or killed in a Boston motorcycle accident. If you have been injured or someone you love has been injured in an accident, call to schedule a free initial consultation, contact us online or call our offices at 1-877-617-5333.